We do recommend planning your trip as early as possible, but spontaneity can be good, too! Valentine’s Day and anniversaries are the most popular times for a romantic getaway so plan ahead if you want to travel during those times. But any time can be a good time, as long as it works for you both and remember- you don’t need a reason! Planning a romantic getaway “just because” makes it all the more special. Now a days choices of where to go are endless and even overwhelming. Pick a destination that offers things to do, places to eat, but also accommodations that offer a romantic setting. And certainly pick a destination that will appeal to both of you. Rockland, Maine covers all your bases. You can take scenic drives along the coast or shop ’til you drop on Main Street. Spend the morning hiking, the afternoon watching a movie in your room, and the evening lingering over a romantic dinner at one of Rockland’s award winning restaurants. A short walk from the Berry Manor Inn is downtown Rockland which offers shops, museums, art galleries, and restaurants. Only a short drive away and you’ll be enjoying lighthouses, wineries, and beautiful parks with hiking, birdwatching, and skiing. The Berry Manor Inn offers the perfect setting for your getaway. All of our guest rooms have fireplaces, private baths (some with whirlpool tubs for two and walk-in showers with body jets and 2 shower heads! ), and are beautifully decorated. Let the romance begin! You know where you’re going, now where do you dine? Plan ahead by doing some research online and make sure you make reservations if needed. Rockland has over 20 restaurants downtown alone. From seafood to Italian, from lobster shacks to fine dining, we’ve got something for everyone. For a romantic night out we recommend Primo or La Bella Vita. Both have amazing food, wine, and the ambiance to enhance your romantic getaway in Maine. How about dinner and a movie? Have a traditional date night on your romantic getaway, but make it special by having dinner at the intimate wine bar, In Good Company, or Italian at Rustica followed by a movie at the historic and beautiful Strand Theatre. All are within walking distance of the Berry Manor Inn. Stumped for which restaurant or plan would be best? Ask your innkeeper for help. What do you love to do as a couple? What new adventures do you want to try? Make sure you have a couple of activities planned for your stay. Midcoast Maine has much to offer no matter the season and it certainly has something for everyone. Sailing, snow skiing, lighthouse tours, wine tours, foodie tours, kayaking, hiking, birding, snow shoeing! Your innkeeper can help you narrow down your choices and then make the arrangements for you. Plan for some down time during your getaway. Our lives are filled with rushing and doing, working and carpooling. Don’t forget to relax with your partner during your getaway. An afternoon reading in your room, spending some time doing a jigsaw puzzle, or taking a long walk are all great ways to de-stress. 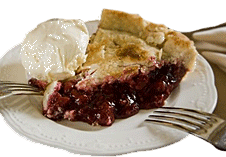 How about a couples massage at the inn followed by an early dinner in one of Rockland’s fantastic restaurants and then some homemade pie back at the Berry Manor Inn? Make sure you leave time to decompress and reconnect. It doesn’t have to be monumental or even expensive, but a special surprise shows the thoughtfulness that went into planning your special trip for your loved one. 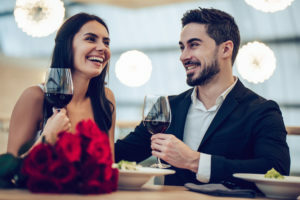 Consider planning a dinner featuring some personal favorite foods, a special activity your partner has always wanted to try, or a visit to a shop to buy something memorable to commemorate your trip. At our Rockland, Maine bed and breakfast we can plan any of these special details for you. We can arrange flowers in your room or champagne and chocolates at turndown. Want to go all out? How about a horse drawn carriage ride to dinner?! So you decide the what, when, and where and the Berry Manor Inn will take care of the rest. And remember, “just because” is reason enough for a romantic getaway in Maine! This entry was posted on Wednesday, May 2nd, 2018 at 1:14 pm	and is filed under Maine Activities.